Med-Trans is a private ambulance company serving the Greater Miami Valley and surrounding areas. Med-Trans offers Advanced Life Support (ALS), Basic Life Support (BLS) in both Emergency and Non-Emergency situations. We also provide wheelchair (ambulette) transportation for those who do not have the medical necessity for ALS or BLS transportation to be transported to medical appointments. To be the preferred provider of ground based transportation in our service area by providing a positive work environment and educational opportunities for our dedicated professionals. Maintaining state-of-the art equipment, innovative approaches in service delivery administered by properly trained professionals to achieve high levels of quality care. Med-Trans, a leader in ground based transportation in Ohio, is a team of professionals devoted to providing quality services to meet the needs of the communities we serve. Med-Trans is available 24 hours a day, 365 days a year. 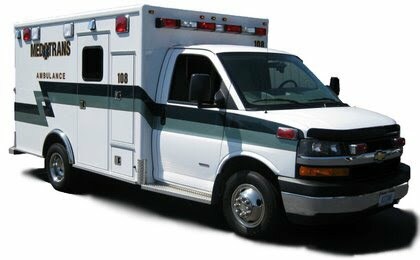 Ambulance service is available 24 hours a day. Prescheduled ambulette transportation is available any time of the day, but same day service is generally available from 5:00 a.m. to 7:00 p.m. daily. While we do bill for our services, most commercial insurance, Medicaid and Medicare can be billed if the patient is eligible. Med-Trans is a proud partner in the Cooperative Health Partners Network and is an exclusive provider for Aetna, CareSource and a semi-exclusive provider for United Health Care. This means we are the in-network provider for these payer’s while other ambulance services may not be in-network and you may receive a higher bill due to being out-of-network. In the absence of a pay provider, the patient or responsible party can be billed direct.